Some are more affected than others by the reduced sunlight hours. Living in an urban environment where we can only hypothesize that Nature’s long dormancy is soon coming to an end, we may not notice the stirrings under the earth, the sap rising, the buds swelling. The birds beguiling mating rituals may go unnoticed as might the pairing off of ducks in city ponds. Our urban sense of seasonality is more spectacularly linked to the presence of he sun. One has only to notice the human sunflowers that take up residence behind glass windows as soon as a bit of light affords us some respite from the low hanging grey winter skies. It is no wonder then that Winter may be accompanied by a sensation of drabness and longing for some or sluggishness for others. We miss the feel of the warmth on our faces, the sun caressing our skin. A good enough reason then for reminding ourselves to take care and keep the blood circulating. Notably in our faces, which seem to take the brunt of the drying winter winds and cold. 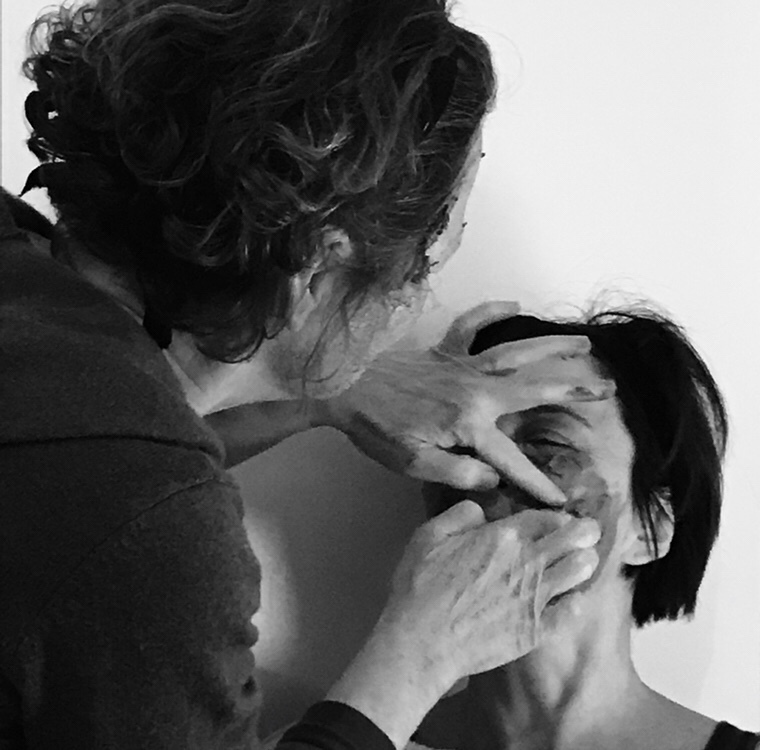 Our most recent atelier workshop was then an opportunity to mindfully explore our faces. Relying on the earth as a mediator in many of its expressions we went rediscovering our visage. It’s flexibility, it’s limits, even muscles we neglect or had never even noticed. Let’s say time was spent investigating the textures of care.